BANDAI NAMCO Entertainment Inc. (Headquarters: Minato-ku, Tokyo; President & CEO: Satoshi Oshita) and LINE Corporation (Headquarters: Shibuya-ku, Tokyo: President & CEO: Takeshi Idezawa) will release LINE: GUNDAM WARS , a smartphone game based on Mobile Suit Gundam, in Japan and other regions of Asia via the LINE GAME platform starting this summer. Ahead of release, the game is conducting a pre-registration campaign in Japan, Taiwan, Hong-Kong and Macau, starting today June 20, whereby the more users who sign up the more pre-registration items they can receive. 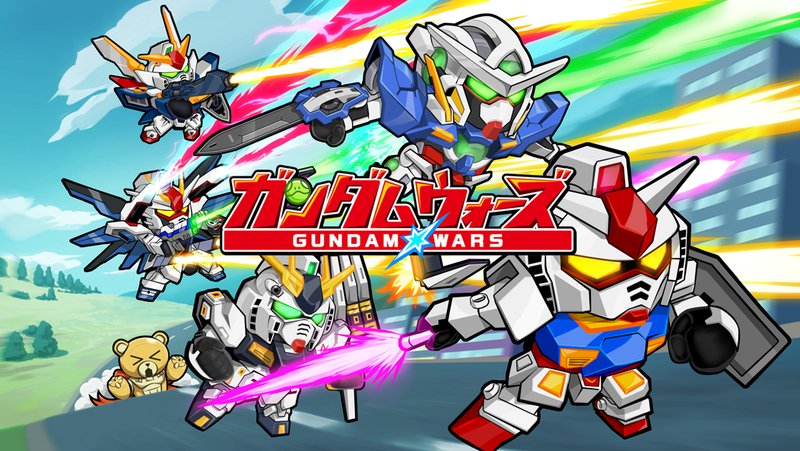 LINE: GUNDAM WARS is a smartphone game based on Mobile Suit Gundam. It was co-developed and created by BANDAI NAMCO Entertainment and LINE, and it is the first Mobile Suit Gundam game released on the LINE GAME platform. To make the game easier to enjoy casually for users who have never played a Gundam game before, LINE: GUNDAM WARS employs a simplified, “deformed” design for the mobile suits, and an auto-battle mode that allows players to progress without the need to perform complex operations. LINE: GUNDAM WARS is a “Newtype” Dash Battle Game where players can raise and put together teams of mobile suits and characters appearing in the original series, and easily enjoy offensive and defensive battles with enemy teams comprised of various mobile suit lineups that go beyond the scope of the original story. Players can tackle stages with their friends as they immerse themselves in the world of Mobile Suit Gundam, fully reliving classic scenes from Mobile Suit Gundam with audio provided by voice actors. LINE: GUNDAM WARS commenced a campaign today, June 20, whereby all who pre-register can receive in-game pilots featuring voice recording playback. Pre-registration can be completed via LINE, Twitter or email. Five pilots are potentially obtainable, with the number of obtainable pilots increasing with the number of pre-registrants. *Pre-registration by Twitter is only available in Japan. See the LINE: GUNDAM WARS official site for details (https://gw.ggame.jp/ (for Japanese) https://gw.ggame.jp/tw/ (for Traditional Chinese)).